Crytek has released a new trailer for Xbox One launch exclusive, Ryse: Son of Rome. 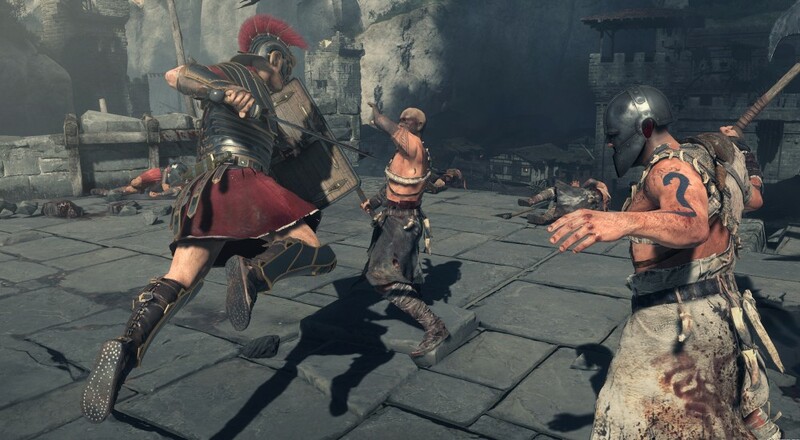 Unlike what we saw at E3, the combat in Ryse is much more than a series of scripted quick time events. Your standard weapons in the game will be your sword and shield, and to spice things up the shield does more than just provide defense. Both weapons have your standard quick and heavy attacks, and of course are best used in combination of one another to take out your foes. The pilum (think: spear) gives you some range on your attacks, and can keep enemies at bay while you deal with other soldiers up close and personal. The goal of combat is to build your combos and deliver legendary executions, as that in turn will unlock the most XP and allow you to unlock additional perks via a talent tree. We will say this: there’s a lot of HUD in this game. Every corner has some sort of meter or gauge in it, and with almost every attack you land, text displayed on the left side of the interface details the type of blow delivered and your combo progress. Some players might find this distracting, while others will feed off the additional information. Ryse: Son of Rome features an online co-op mode called ‘Gladiator’ where players work together in the Colosseum to not only survive, but also to entertain the crowd. Page created in 0.2843 seconds.